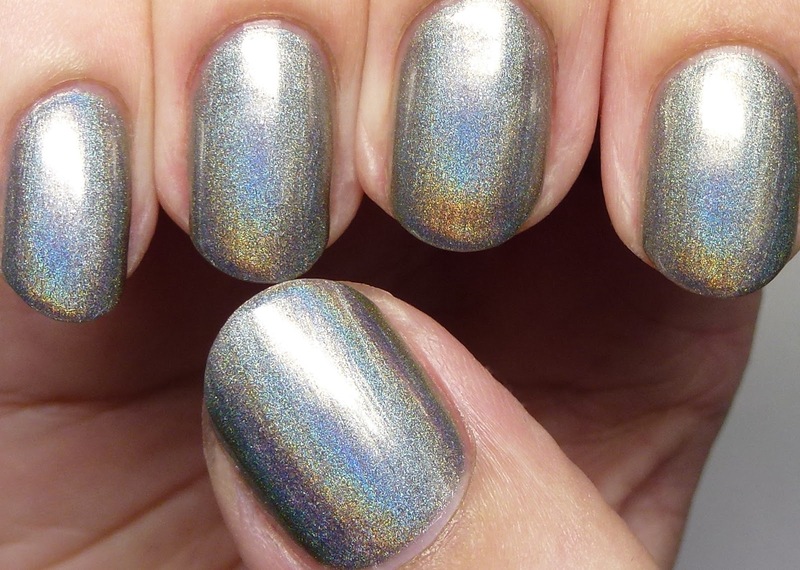 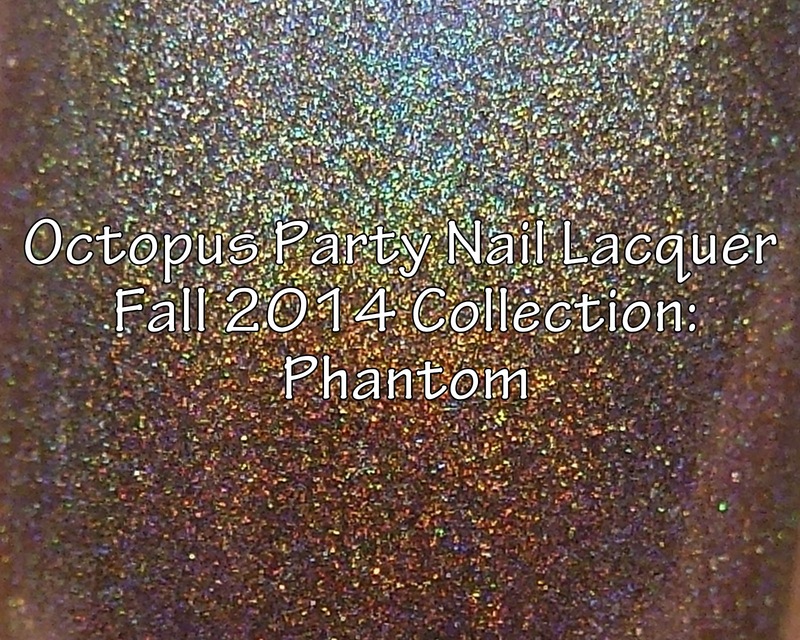 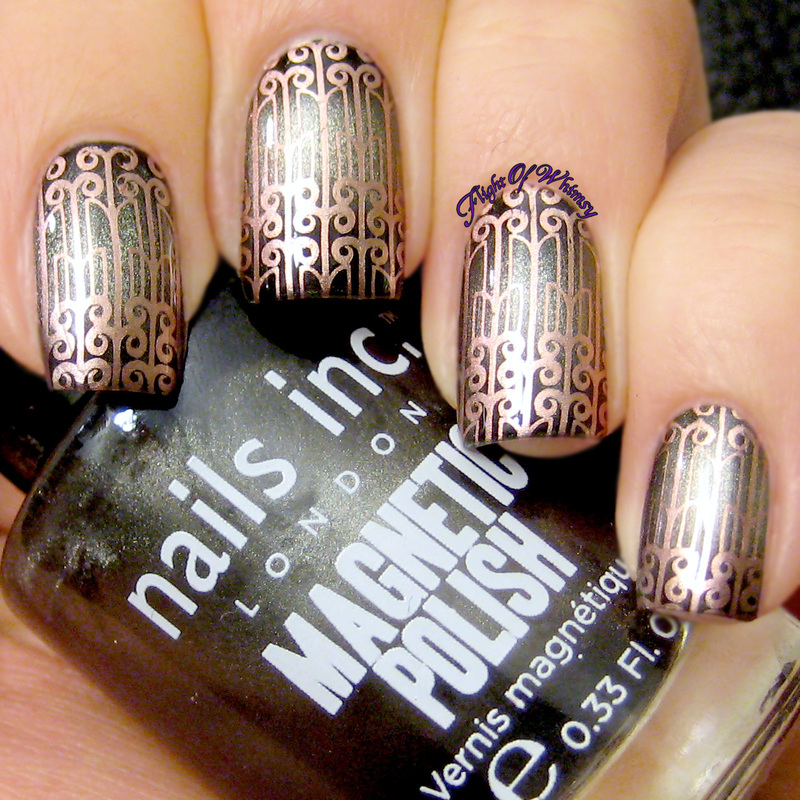 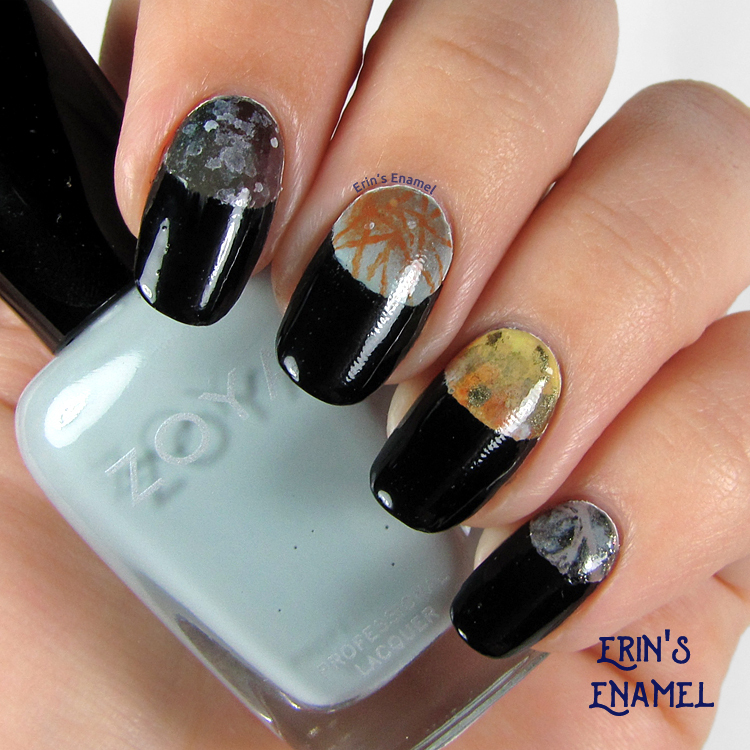 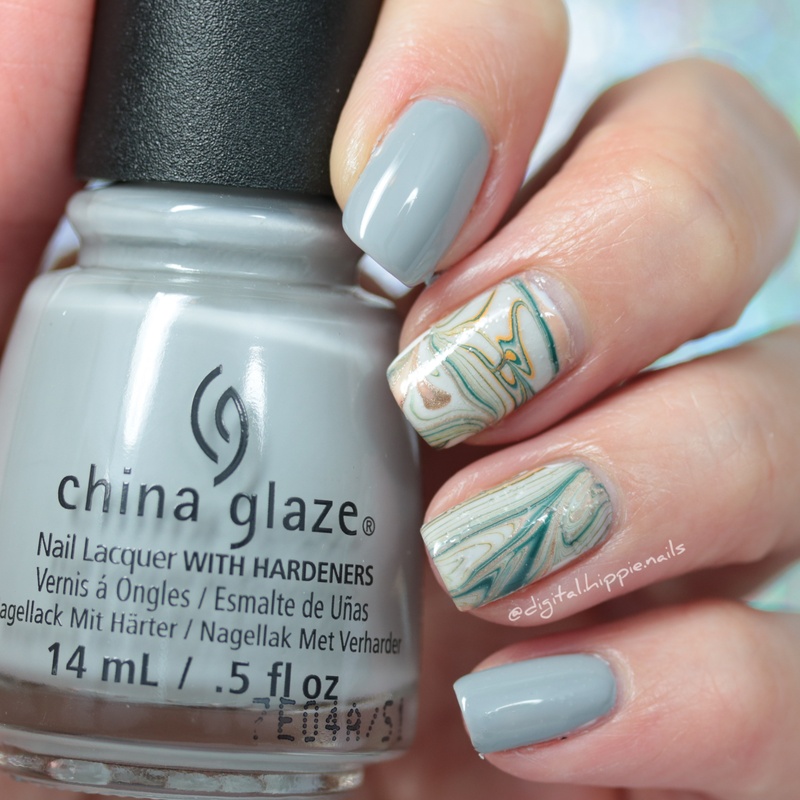 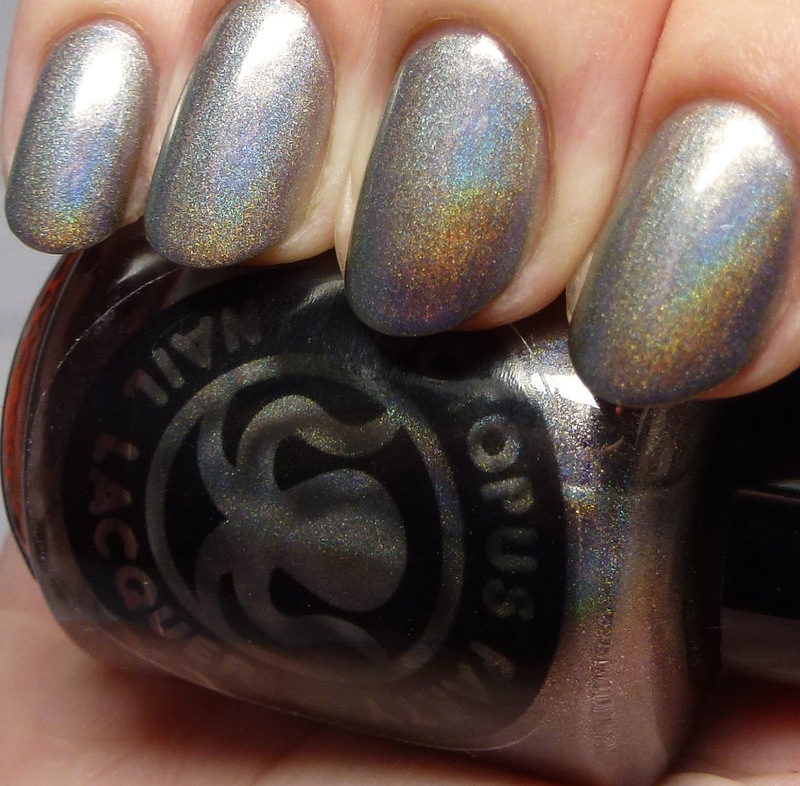 Phantom is an amazing gunmetal/chrome holo polish from Octopus Party Nail Lacquer's Fall 2014 Collection. 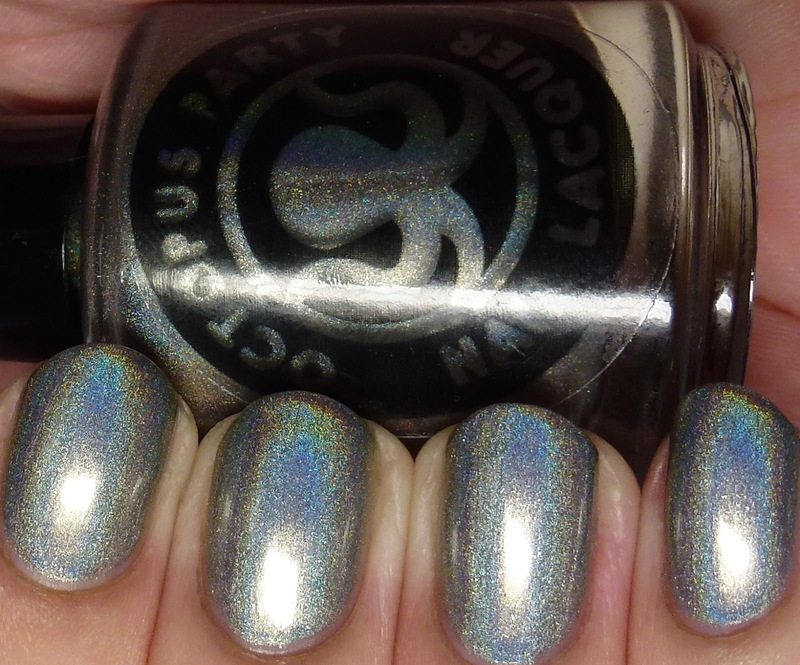 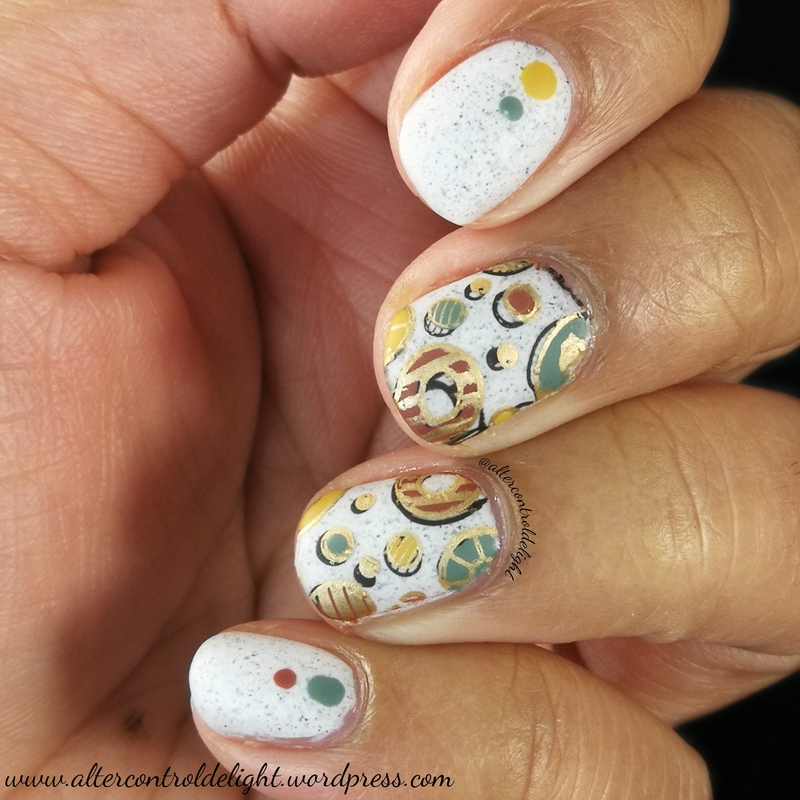 This one arose out of a discussion Dave an I had about using chrome pigments to make super-vibrant holos. 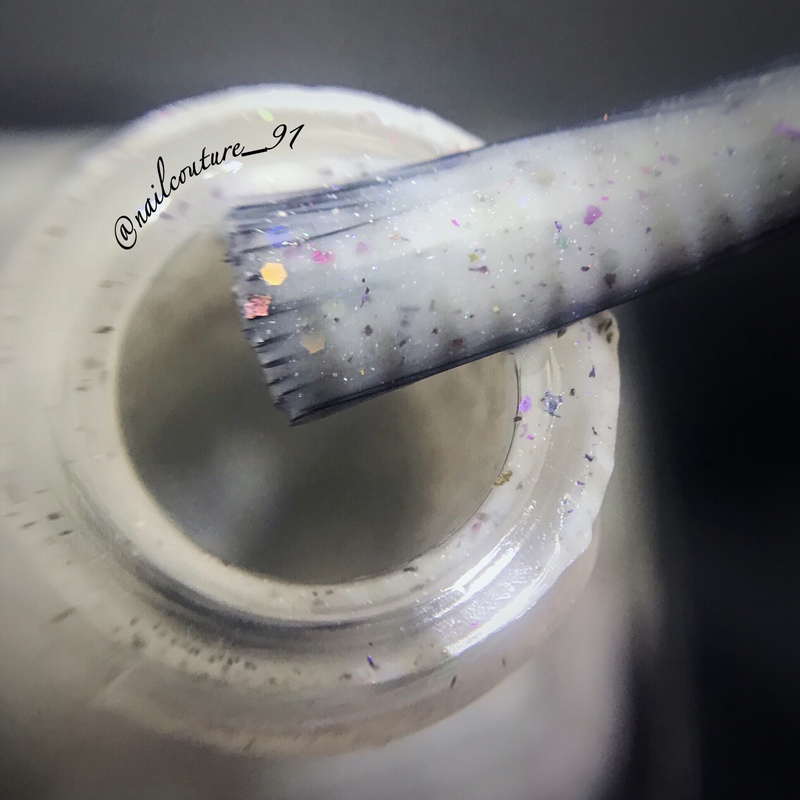 I think it worked pretty well! 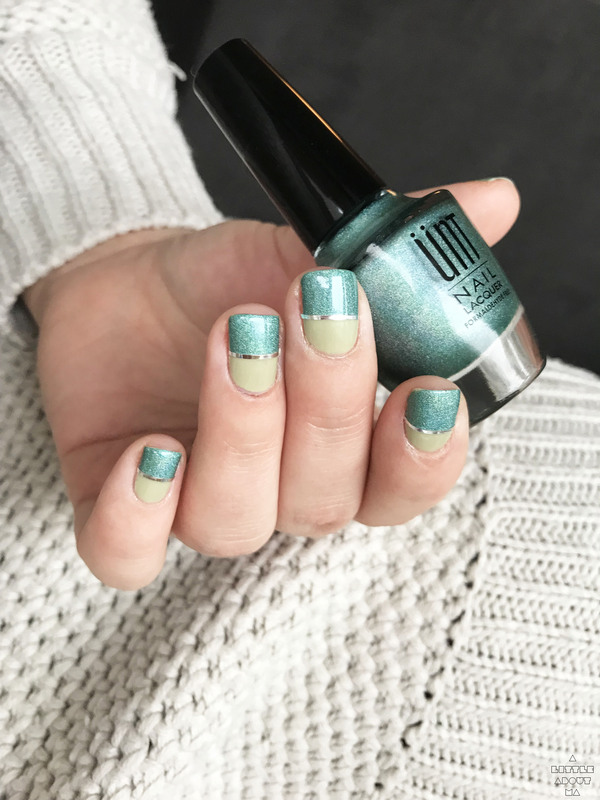 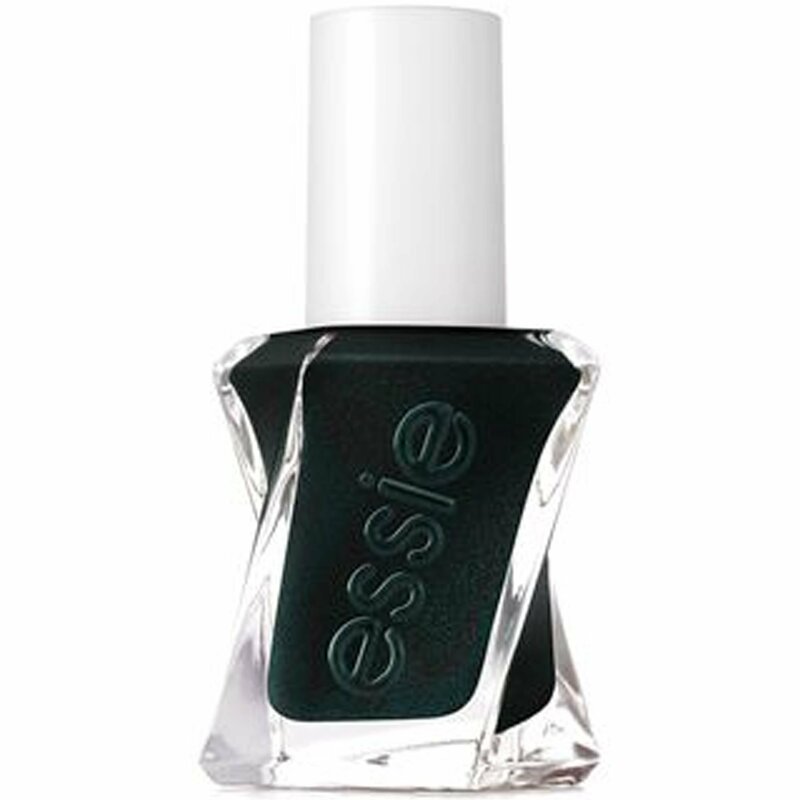 I am wearing it here with four coats because it is luscious, but you only really need two. 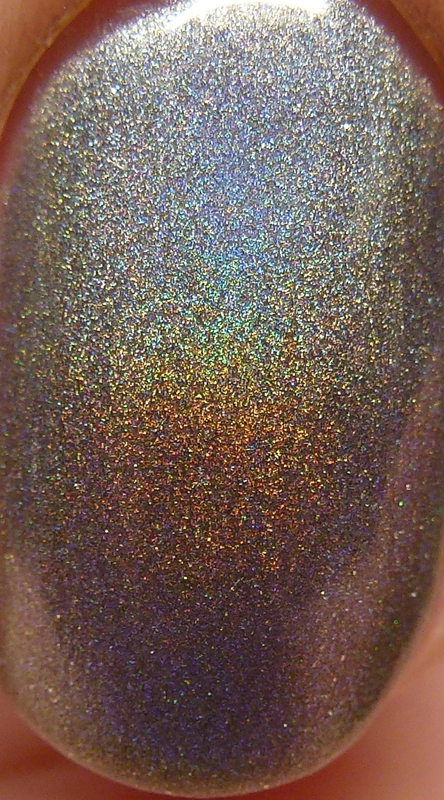 The pigment he used also has little silver flecks in it, which I like. 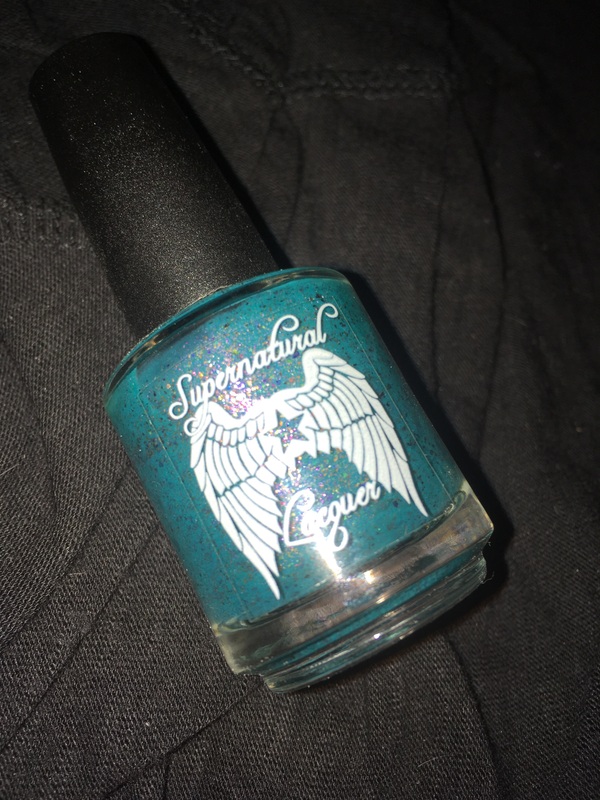 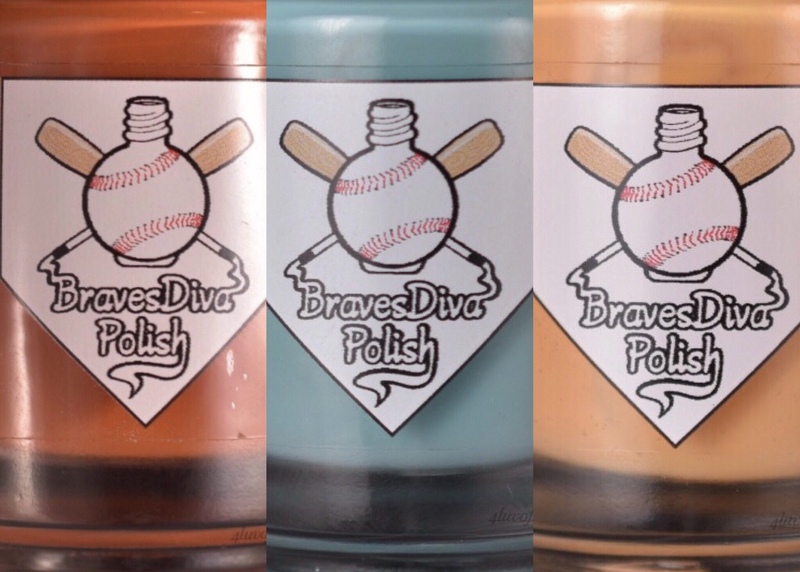 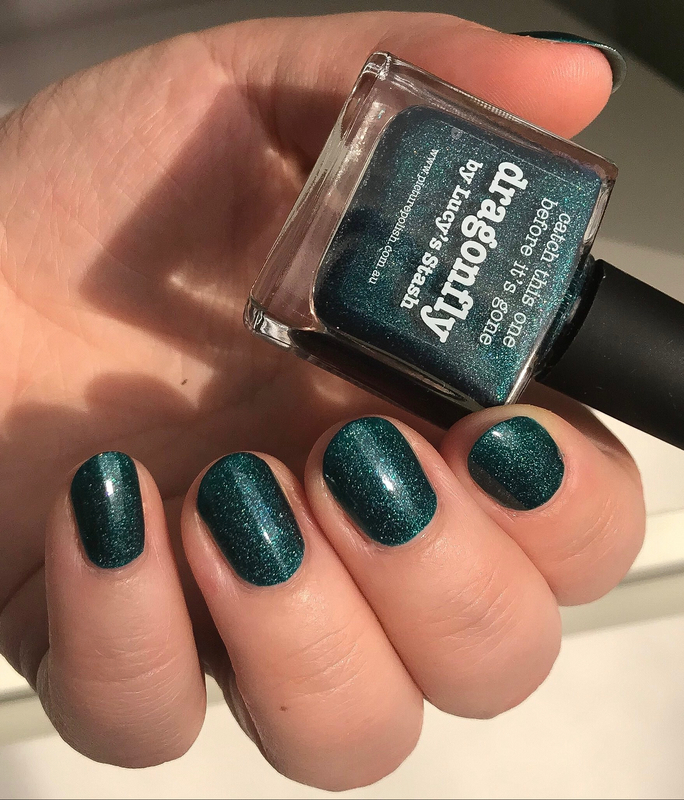 This polish will be available from Dave's etsy shop on September 26, along with seven other colors, so stay tuned! 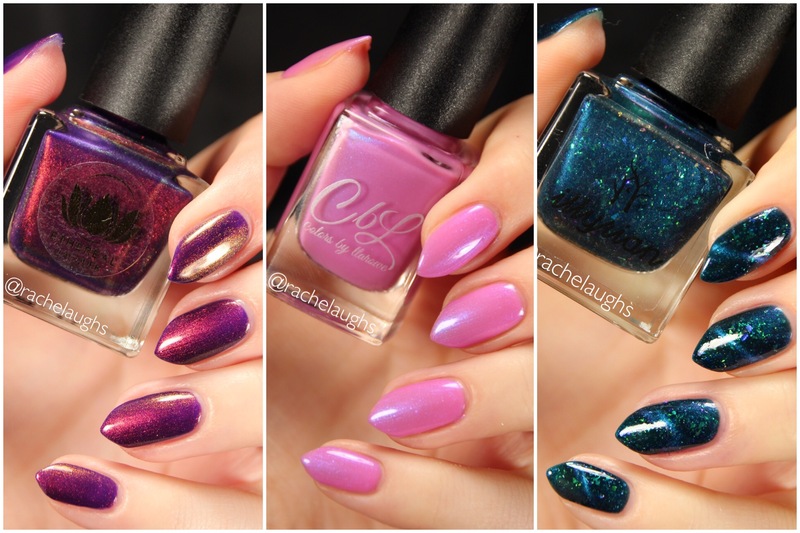 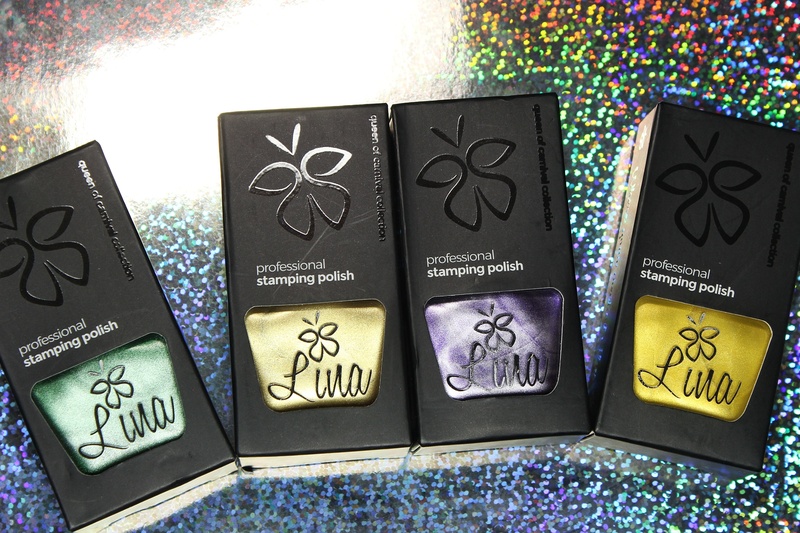 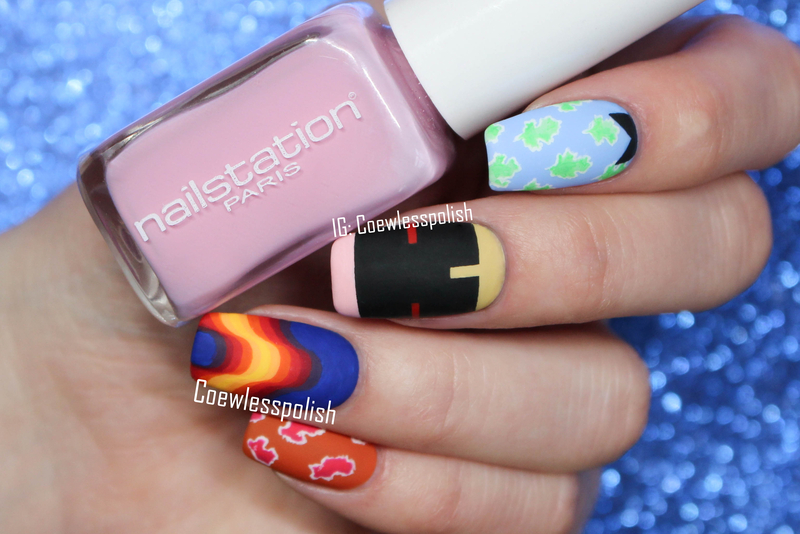 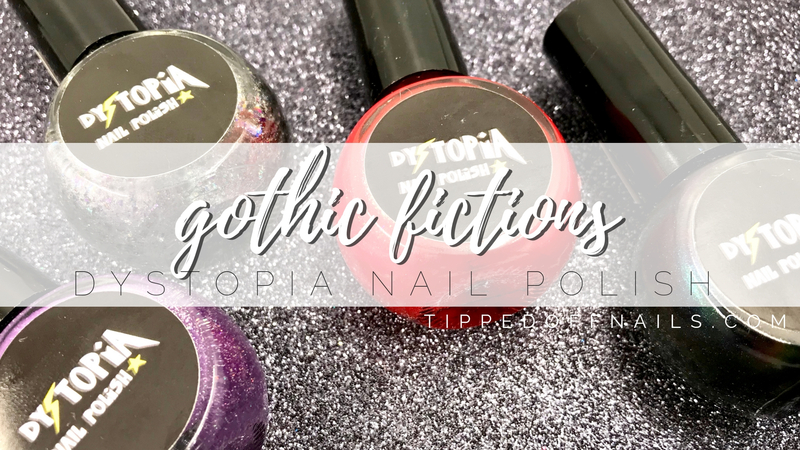 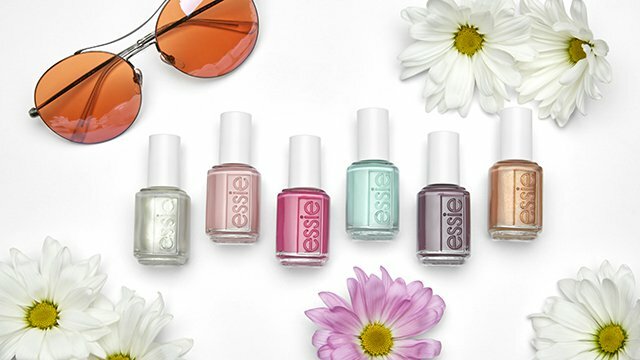 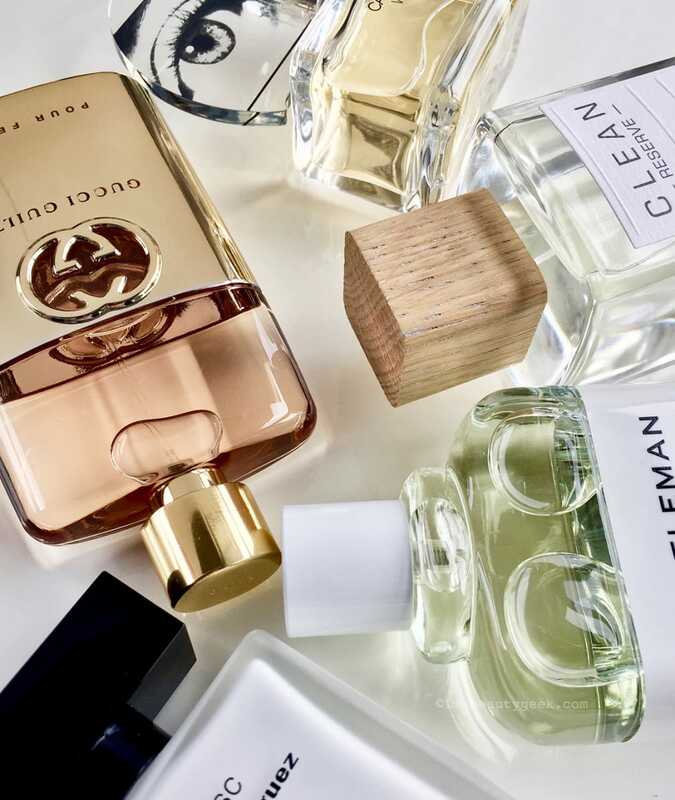 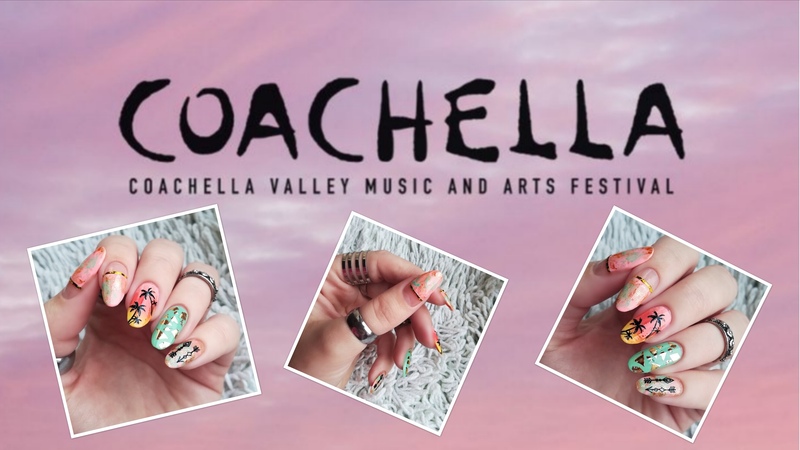 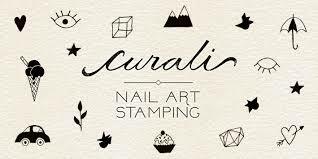 This collection is releasing on September 26 and will contain eight polishes. 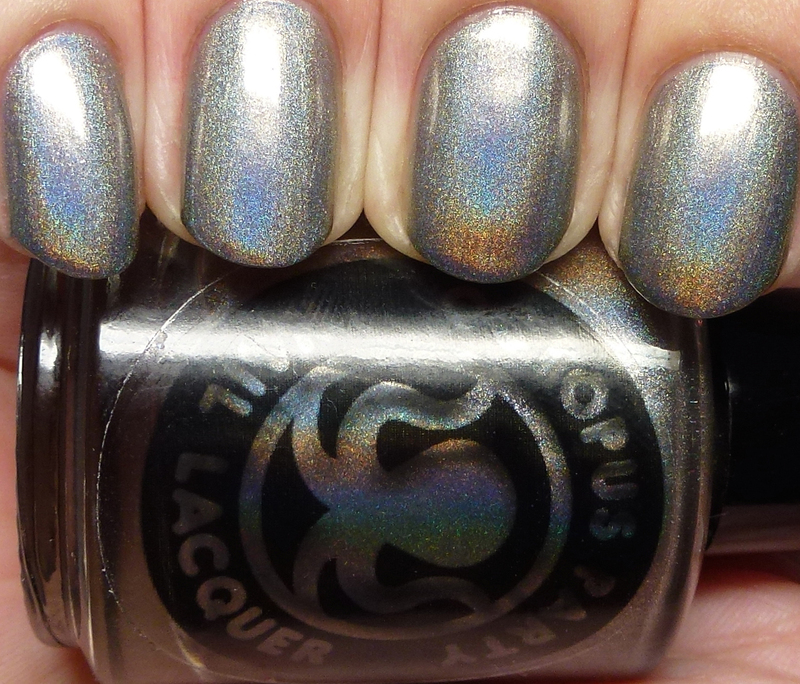 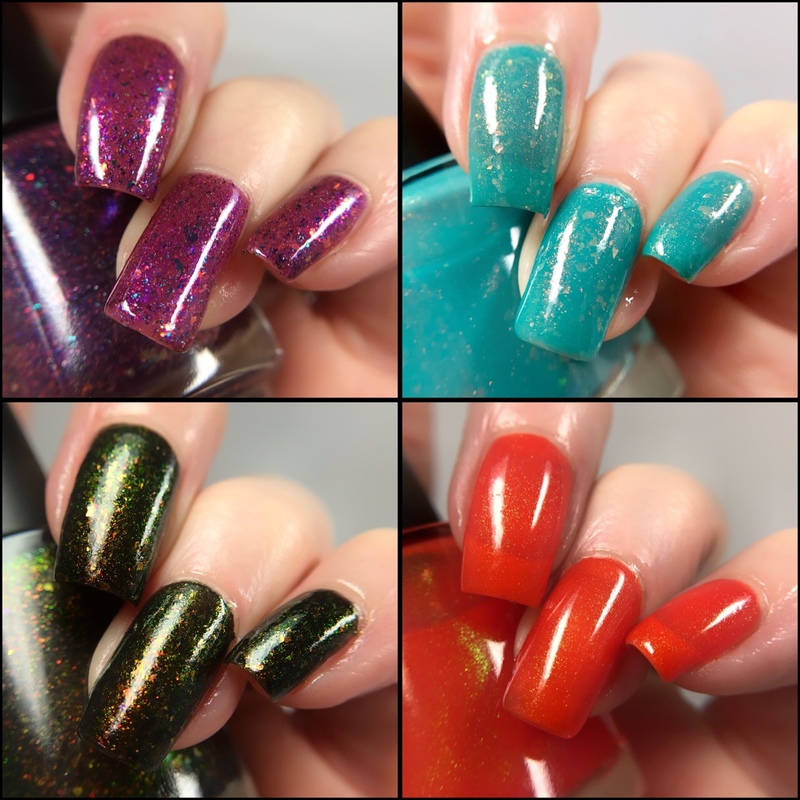 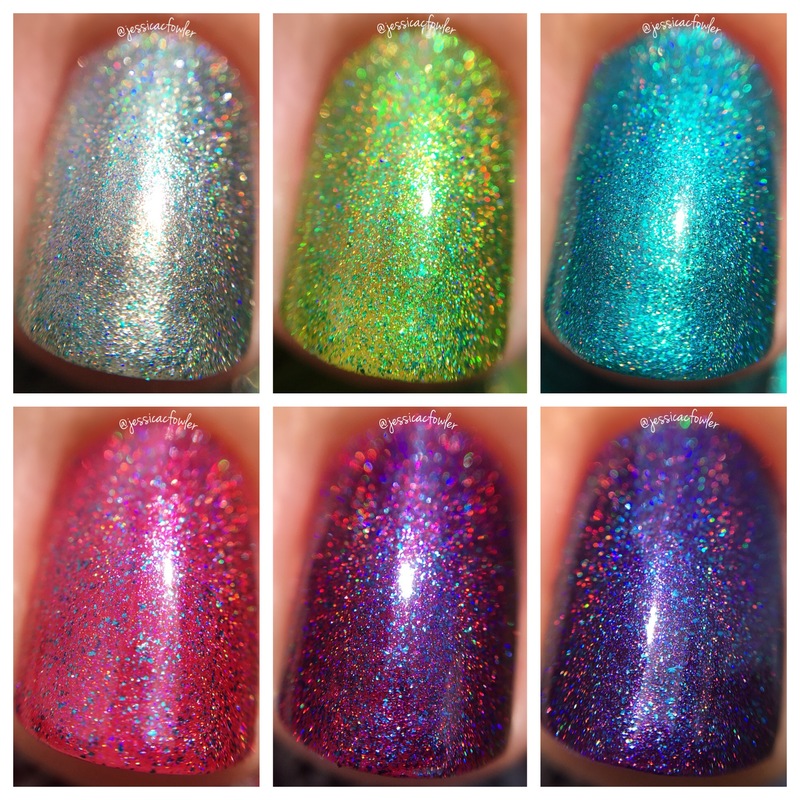 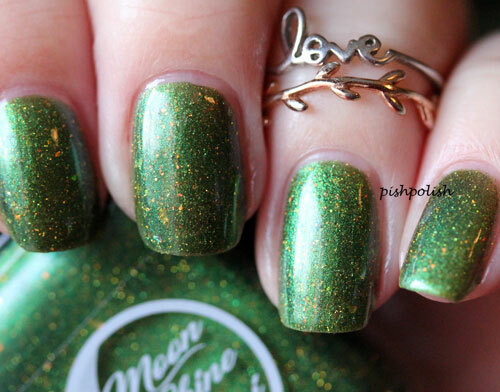 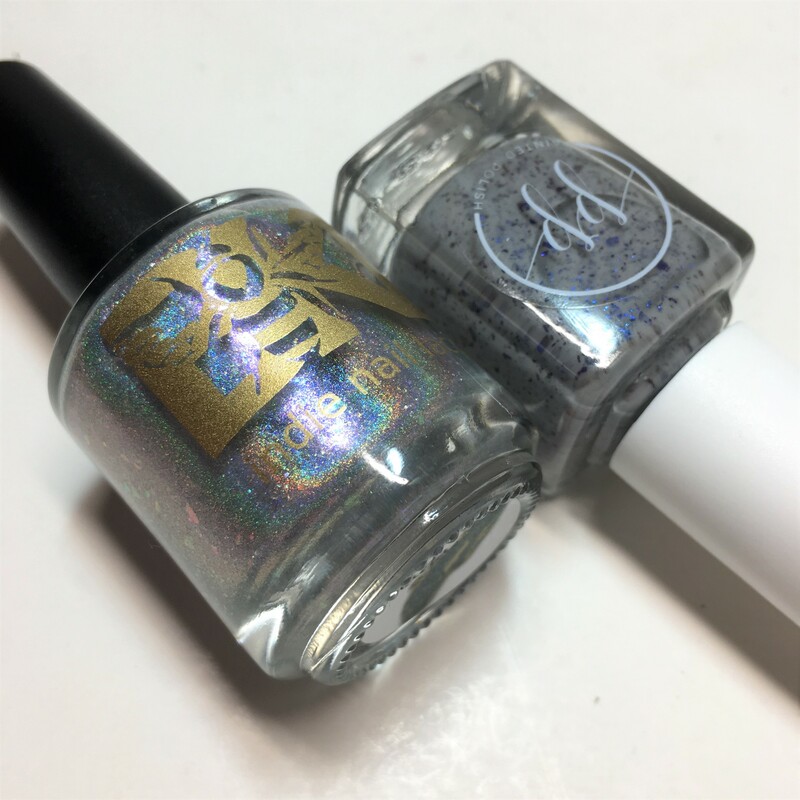 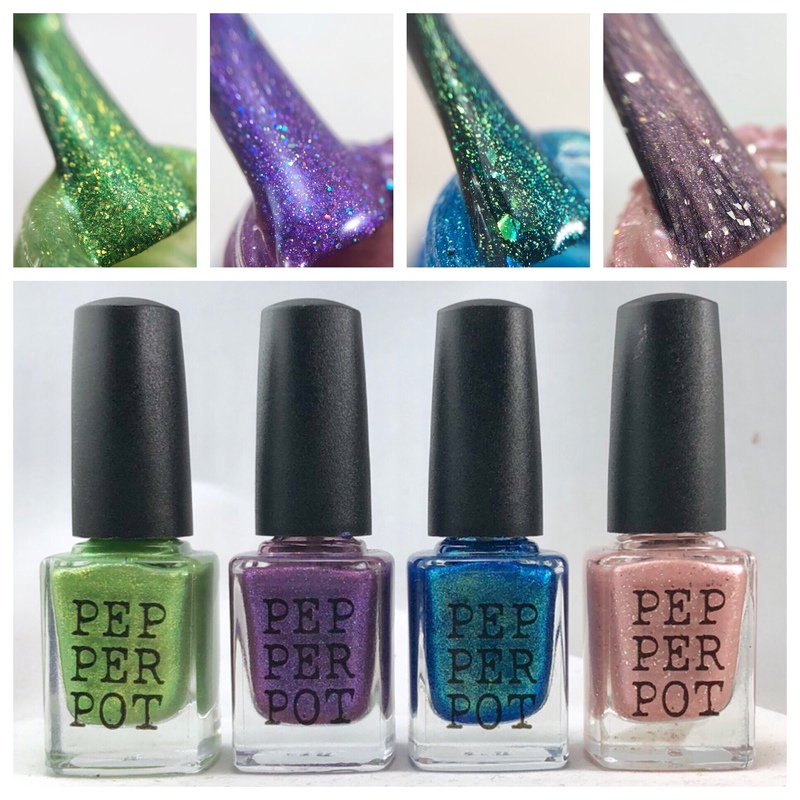 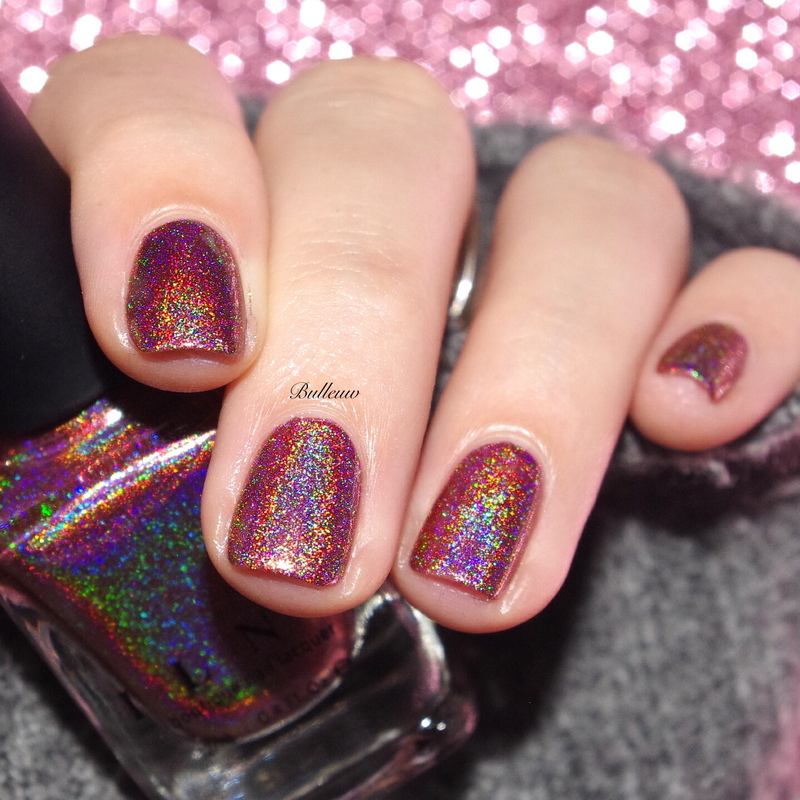 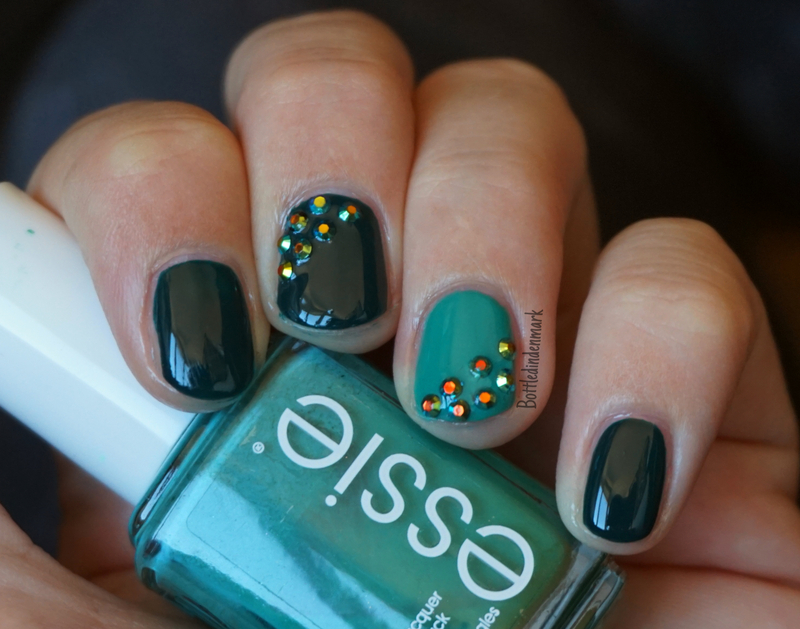 The holos, like this one, will sell for $13 for a full-size bottle and $5 for a mini.